PALM VALLEY — Police here arrested a McAllen police officer for assault-family violence Friday night. Palm Valley police said they responded to a call Friday evening regarding a domestic violence incident in the 600 block of Palm Valley Drive West. 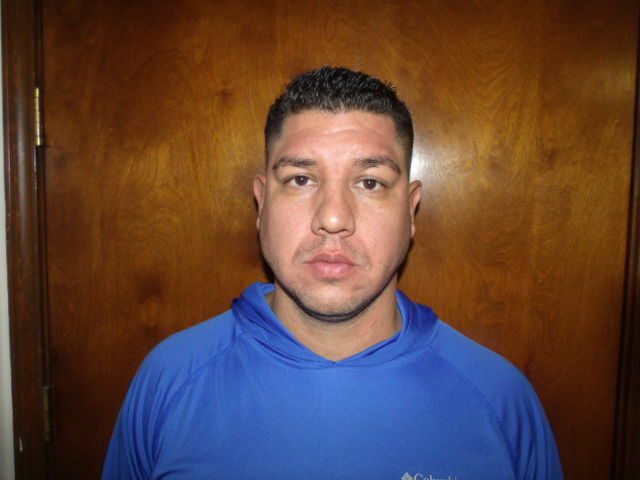 The investigation revealed that Roel Garza, 37, allegedly assaulted his 36-year-old wife at the location, police said in a statement issued Saturday. Garza is an officer with the McAllen Police Department. Garza was formally charged Saturday with assault-family violence, a Class A misdemeanor, by La Feria Municipal Court Judge Arturo Salas. His personal recognizance bond was set at $3,500.